Before you buy that luxury home in Palm Beach you will want to have a professional home inspection done to ensure that your investment is appropriate for the real value of the residence. As you read on you may be surprised by what that lovely façade and professional interior designing is hiding from you. What you don’t know can cost you a significant sum. Home inspections are common clauses in Palm Beach real estate contracts. The idea is to have a third party inspect the premises and provide a written report as to its condition. The problem with most home inspections, particularly on substantial residences, is that the inspectors lack the knowledge and experience to do a thorough job. If you are considering buying a seven-figure home you will want to engage a professional home inspection firm that can ferret out problems that other inspectors miss or simply ignore. Knowing for certain what’s right and what’s wrong with the home is the only way you can make an informed buying decision. Rot in a Mansion? How Can That Be? You have to remember that the size or cost of a structure means absolutely nothing to Mother Nature. If the Palm Beach tropical climate is given a chance, it will wreak havoc on a $5 million residence just as fast as a $250,000 tract house. Exterior wood. Wood that is used in door jambs and older windows is often not sealed correctly or “raw wood” parts that are not visible are not painted. 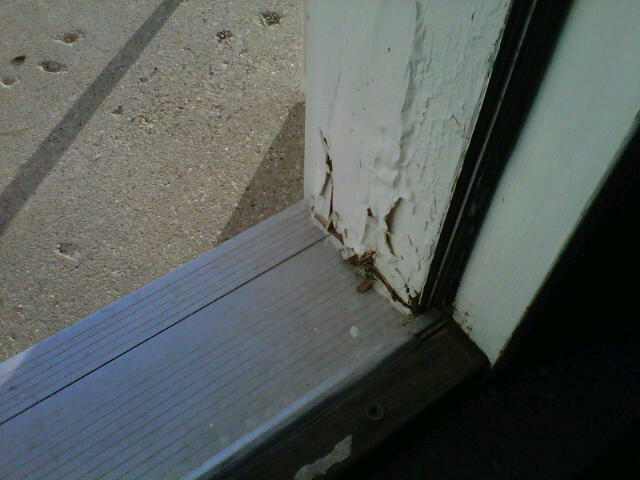 Couple that condition with a poor caulking job and the climate’s rain and humidity will rot out the wood. A casual inspection won’t reveal that because the damage lies under a coat of paint. Beams. Beams that are not properly treated early on become subject to UV damage. When that occurs the beam dries out, cracks and can lose its structural integrity. These are just two problems that a professional inspector can bring to light. The homeowner probably isn’t aware of them himself. However the net effect is that you will be facing maintenance or replacement costs that you had not anticipated when evaluating the property’s price tag. You can use the home inspection report to negotiate a deal that will more closely reflect the real value of the home. Either the owner can make the repairs or offer you a discount on the sales price. Either way the report will be saving you money you would have otherwise spent. If you have questions about professional home inspections feel free to contact us now and we’ll be happy to provide the answers. Posted in Home Inspection Tips.